The second of a new series of young fiction by Jenny Valentine, winner of the Guardian Children's Fiction Prize for her debut novel, Finding Violet Park. 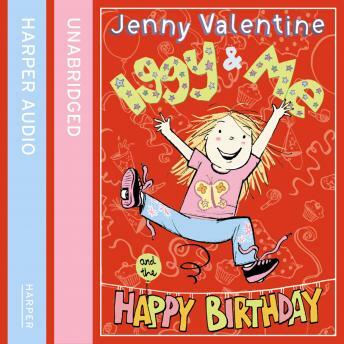 More funny and endearing family stories featuring the the irrepressible 5-year-old IGGY as seen through the eyes of her big sister Flo, the ME of the title. Whether learning to swim, or playing at home, going on a day trip or baking birthday cakes, Iggy and Flo add sparkle to everyday activities. Each chapter is a complete and satisfying story in its own right, perfect for newly-confident readers to enjoy alone, or for reading aloud at bedtime. Illustrated throughout in with black & white line drawings by Joe Berger, who was nominated for the Booktrust Early Years Award for his picture book, Bridget Fidget.